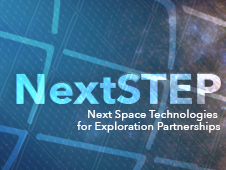 April 20, 2016 – NASA is soliciting proposals for the development of prototypes for deep space habitats that will give astronauts a place to call home during long-duration missions supporting the agency’s Journey to Mars. NASA’s Orion crew spacecraft and Space Launch System are the agency’s first major components for establishing a human presence in deep space. With these transportation systems progressing toward their maiden flight in 2018, NASA now is looking toward investments in deep space habitation — the next major component of human space exploration beyond low-Earth orbit.